The American Felling axe is designed to drop dense, large trees effectively. It has a 32" hickory wood handle in the straight American style and a 3.5 lb. steel head with a Montreal pattern. 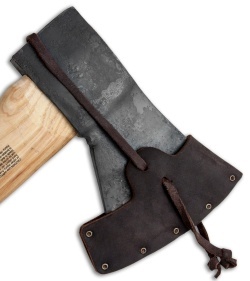 The American Felling Axe was designed by Dave Canterbury to be the ultimate woodsman's axe. Hults Bruk has a long history, that spans over 300 years, of forging tools in Sweden. 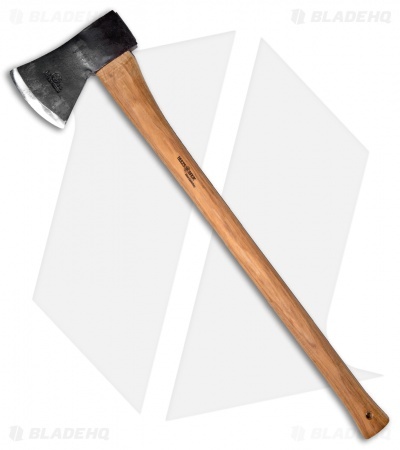 Their axes feature a tempered area that allows the forged steel to take and carry an extremely sharp edge even after years of use. Its American Hickory wood handle is protected with linseed oil, which in turn showcases the magnificent natural grain structure.